John Meunier, one of the architects behind Glasgow’s A-listed Burrell Museum now emeritus professor of architecture at Arizona State University, has issued an 11th hour plea to John McAslan + Partners to re-think their plans despite approval already having been granted by Glasgow City Council. 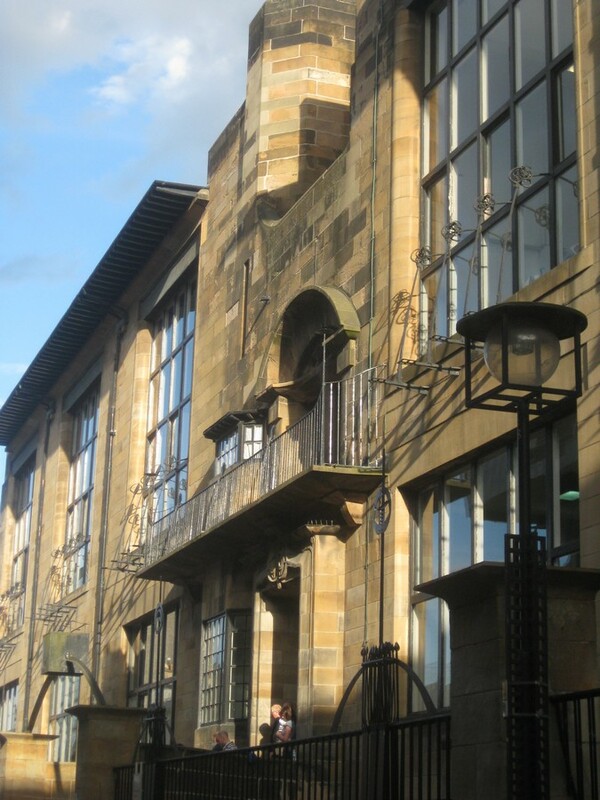 To achieve this however architect John McAslan proposes significant alterations to the building fabric, principally the main entrance and Hutton Rooms, sparking fears that the buildings status as a 2oth century landmark could be imperiled. In a letter to the architects John Meunier wrote: “The issue for me is the long term and whether it retains its status as one of the best 20th century works of architecture in Scotland, superbly matching the architecture to the works of art, while continuing to honour the intentions of its progenitor (William Burrell). “For it to do that a lot more has to be retained, including the extended entry sequence of graduated spaces, and the programmatic requirement of the will that the restored Hutton Rooms be retained. 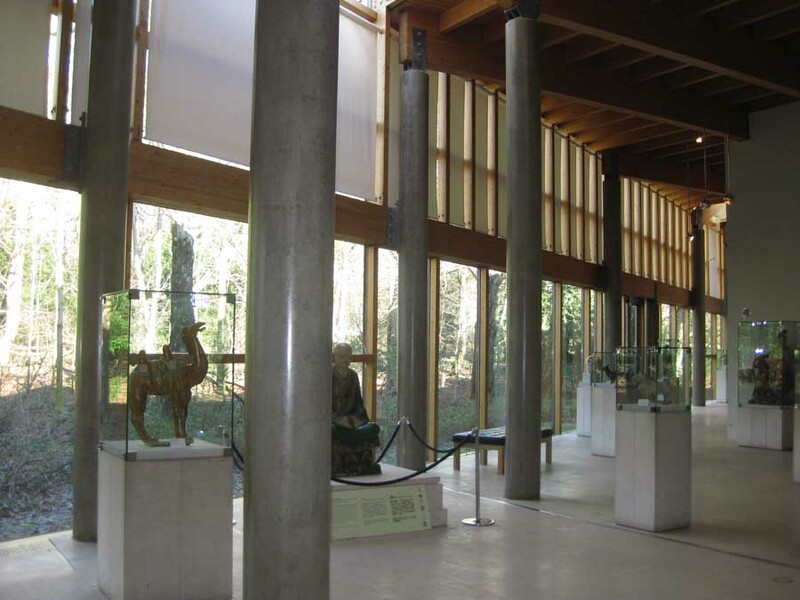 John McAslan + Partners receives planning permission for their overhaul of Glasgow’s Burrell Collection. 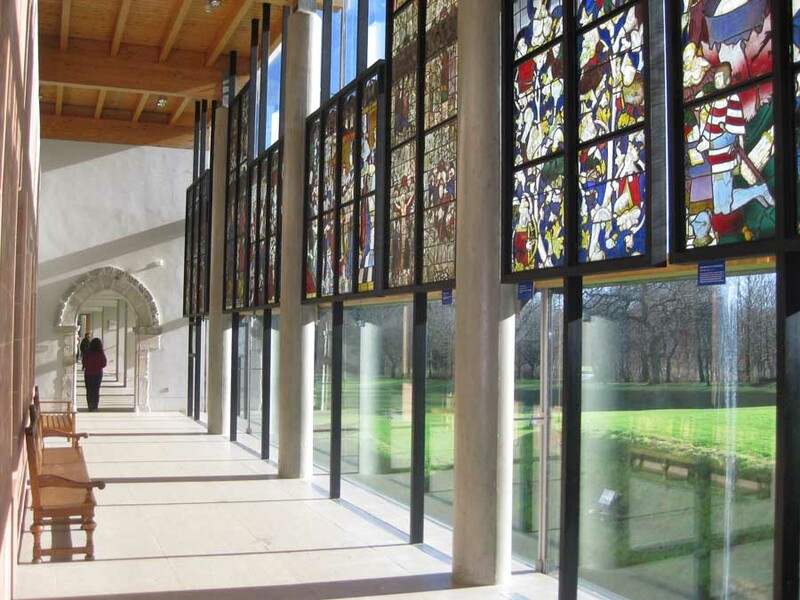 John McAslan + Partners was appointed to develop a masterplan which would enhance the celebrated Burrell Collection, with its spectacular setting in Pollok Park. 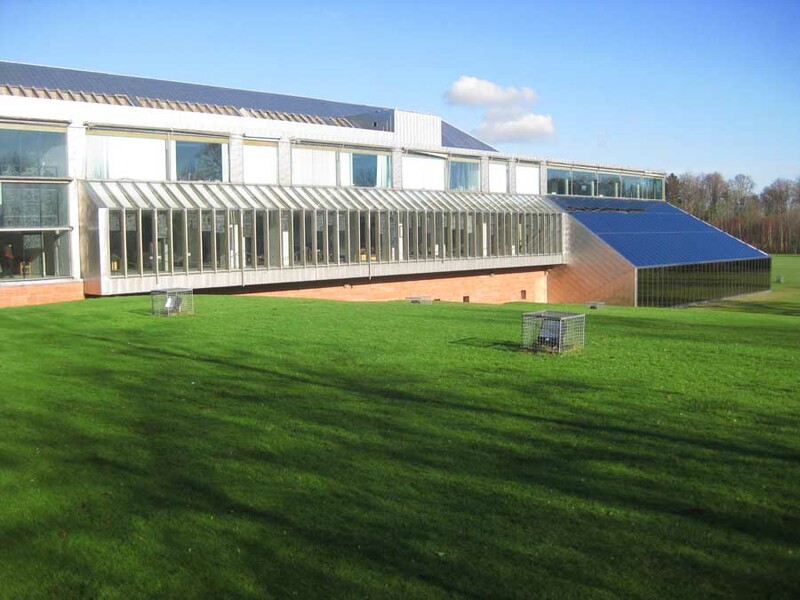 Completed in 1983, the Burrell’s vast collection of art and artefacts is world-renowned. 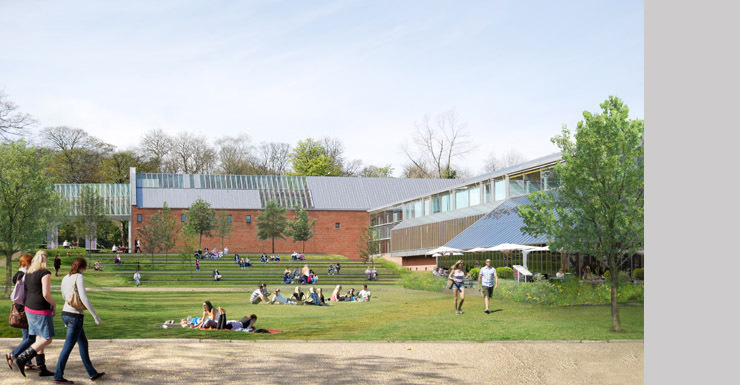 However, in recent years the Museum’s attendances have been declining year on year and the aim of this project was to develop a long-term strategy to address and reverse this position, returning the Burrell to its pre-eminent position as a world-class cultural institution. 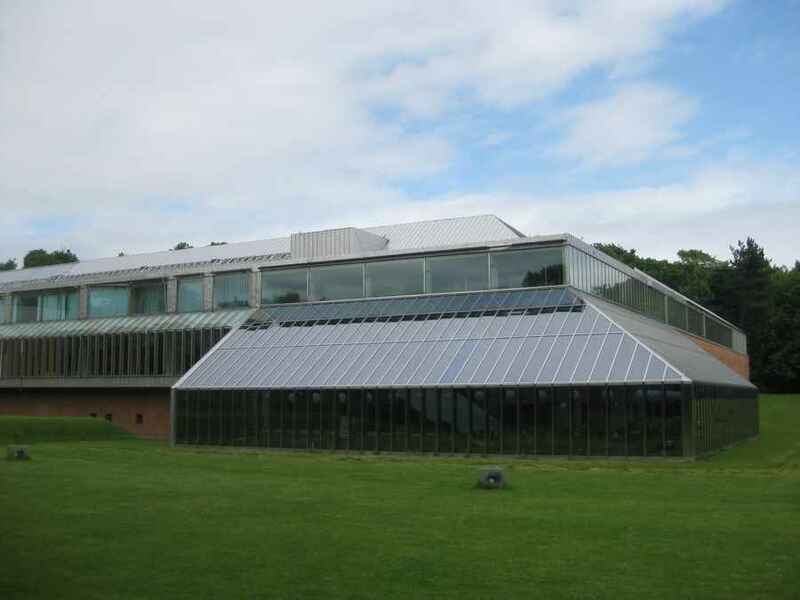 External fabric repairs and alterations, refurbishment of the Burrell Gallery including surrounding landscape improvements. 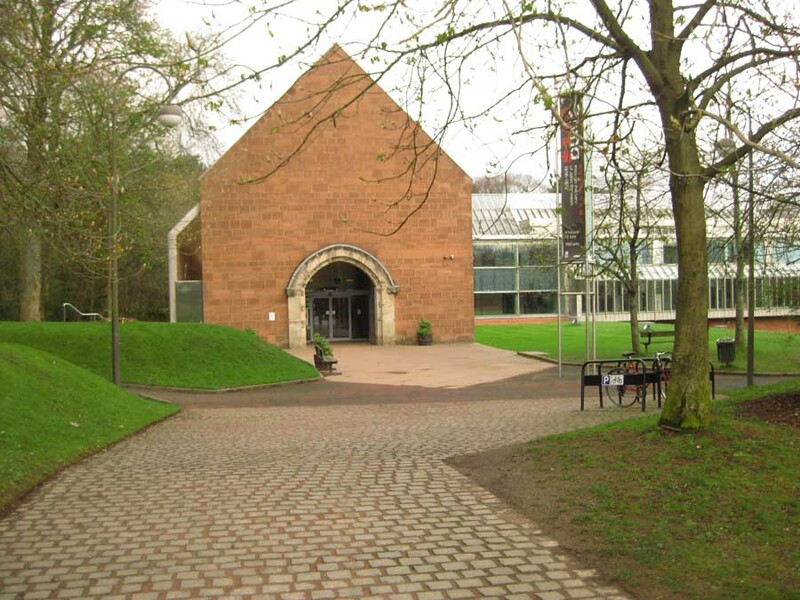 The Burrell Gallery sits within Pollok Country Park four miles from the centre of Glasgow. The building was specifically designed to display, conserve and house a collection of some 9,000 objects of art and antiquities gifted to the city by one of its most successful sons, Sir William Burrell. The collection is of national importance and the building, which opened to the public in October 1983, is listed at Category A signalling that is of exceptional architectural and historic interest. 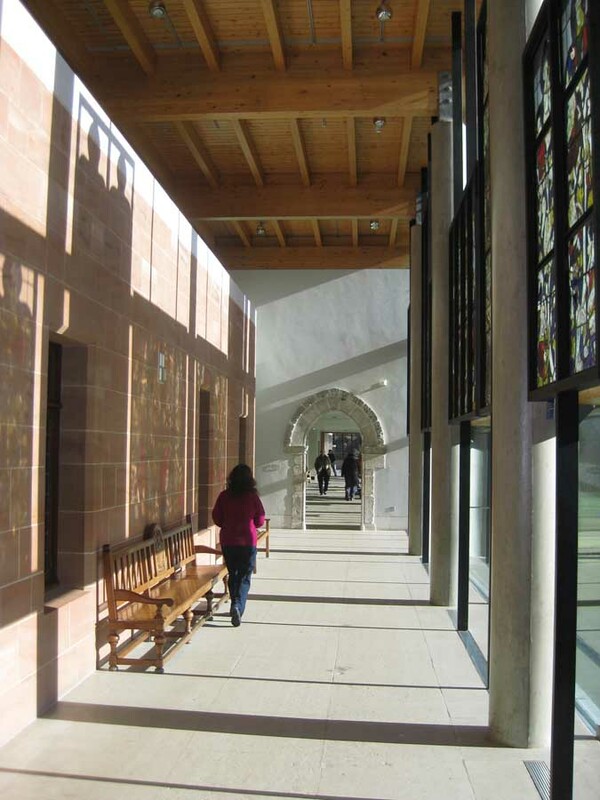 Modern conservation thinking stresses that a building’s importance may go beyond its architectural or historic interest. Significance is a concept first advocated by ICOMOS for the management of World Heritage Sites and now endorsed by the UK’s historic environment sector. It aims to provide a full, rounded understanding of why an historic building is important and to whom. 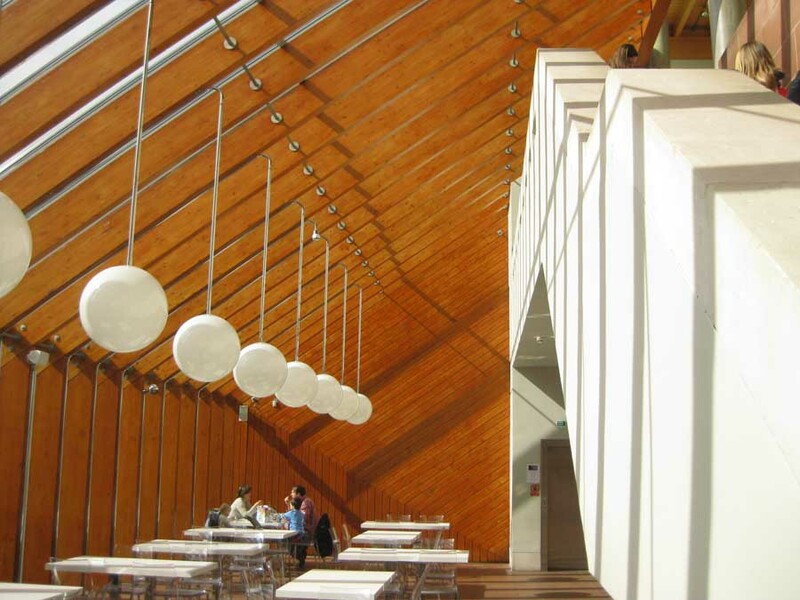 Notwithstanding its architectural triumph, the significance of The Burrell rests primarily in its use as a public, cultural building specifically designed to display a particular collection gifted to the City of Glasgow. The building is now in need of a major overhaul and refurbishment in order to safeguard its long term future and significance. Three major issues are evident. 1. In certain areas the external envelope is failing causing serious problems of water and light penetration. 2. All services are worn out. 3. 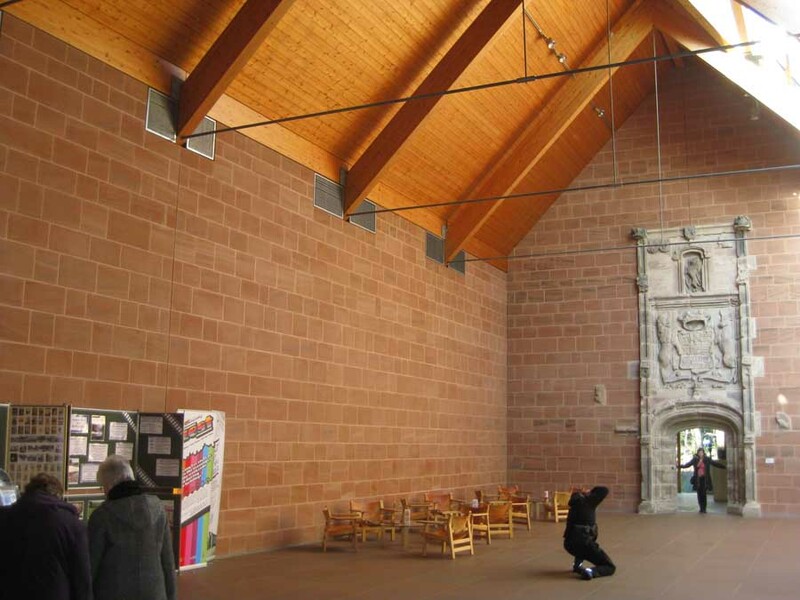 In some regards, particularly access and museological standards, The Burrell no longer meets modern standards or visitor expectations. This Design and Access Statement accompanies applications for listed building consent and planning permission to address all of these issues and secure the Burrell’s long term future as a major cultural asset for the City. It has been prepared by John McAslan + Partners on behalf of Glasgow Life, custodians for The Burrell. Also submitted as background information is a Draft Conservation Management Plan, Statement of Significance and outline cost summary. 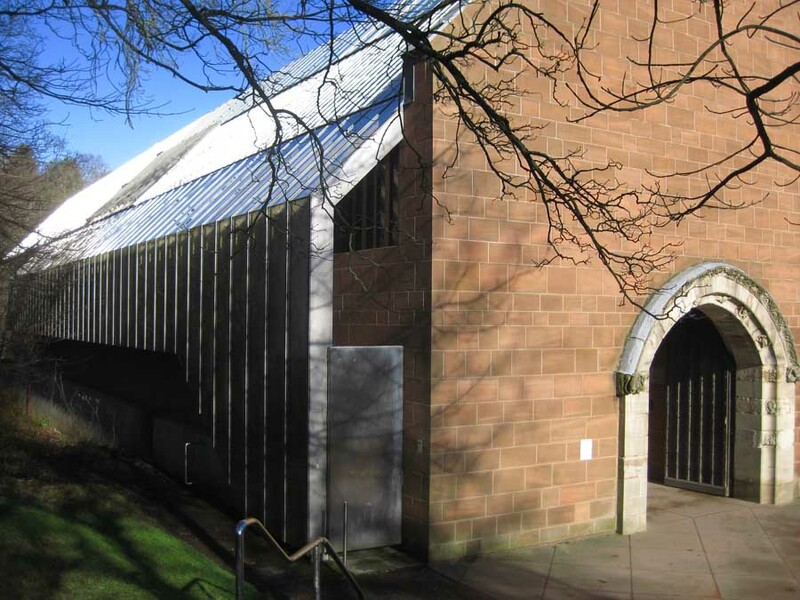 The proposals have been prepared after close examination of the original architect’s drawings and constructive discussions with the Burrell Trustees, Historic Environment Scotland, Glasgow City Council’s Planning and Conservation Team, The Twentieth Century Society and DoCoMoMo. Discussions with the original architects have helped us understand the design intent and development for the building. The Burrell Renaissance Board has provided strategic guidance and the Heritage Lottery Fund continue to offer in principle support for the project although its decision on the grant aid will not be made until the autumn. Regular, constructive discussions and workshops with Glasgow Life have enabled the design team to prepare proposals which meet the client’s brief in addition to the statutory requirements. 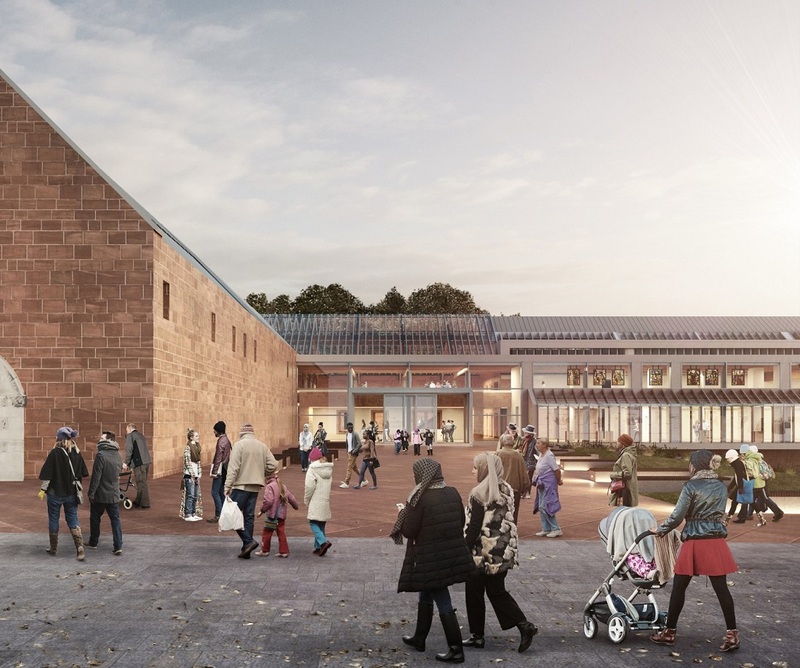 We are fully confident that these proposals will safeguard the future of one of Scotland’s most important historic buildings in the cultural use for which it was designed. sustainability, transforming it from a building with a large carbon footprint, into an energy efficient, modern museum. 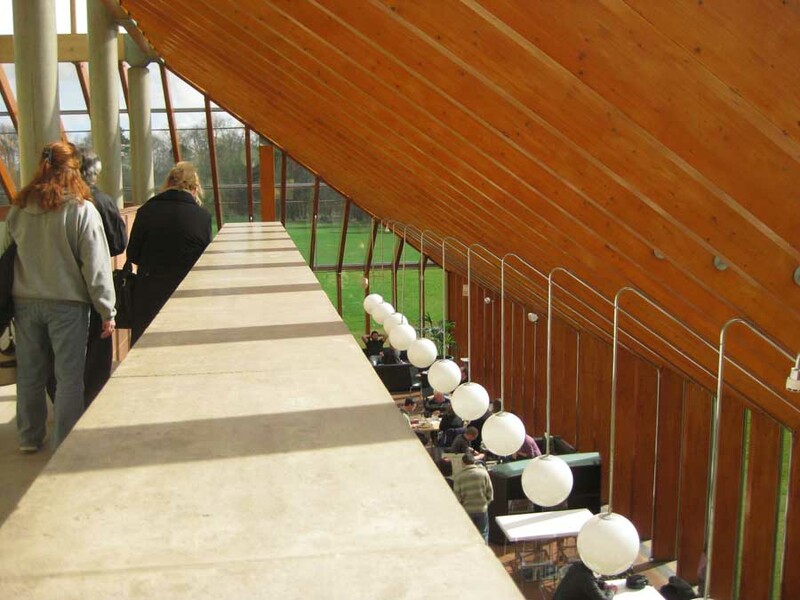 introduced to link the museum with its parkland setting, providing a venue for events. 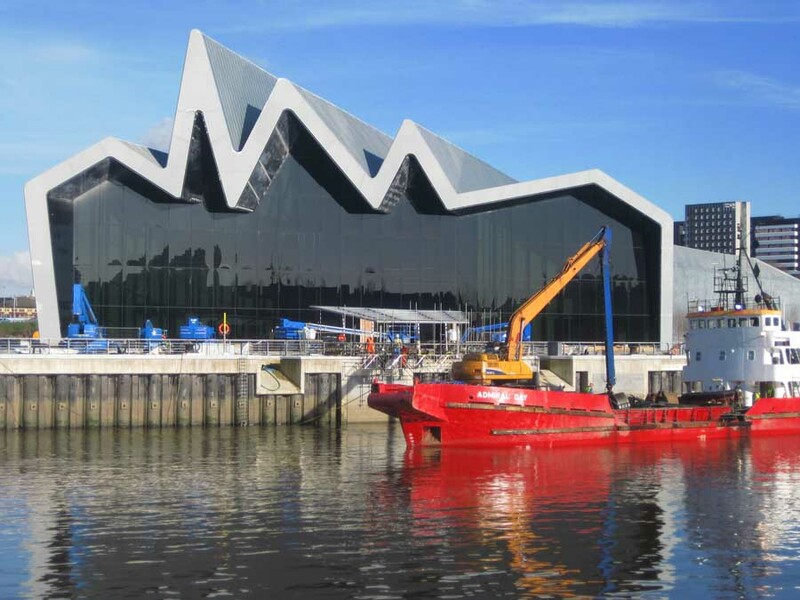 Glasgow City Council, the Heritage Lottery Fund and the UK Government. selected from an impressive shortlist. on display at Kelvingrove Art Gallery & Museum, Glasgow, allowing continued access to citizens and visitors alike. Museum North, Manchester (2002) to name a few. both in Doha, the Museum of Russian Impressionism in Moscow and the Royal British Columbia Museum in Canada. Cross Station, completed in 2012.
the Imperial War Museum North, Manchester (2002). 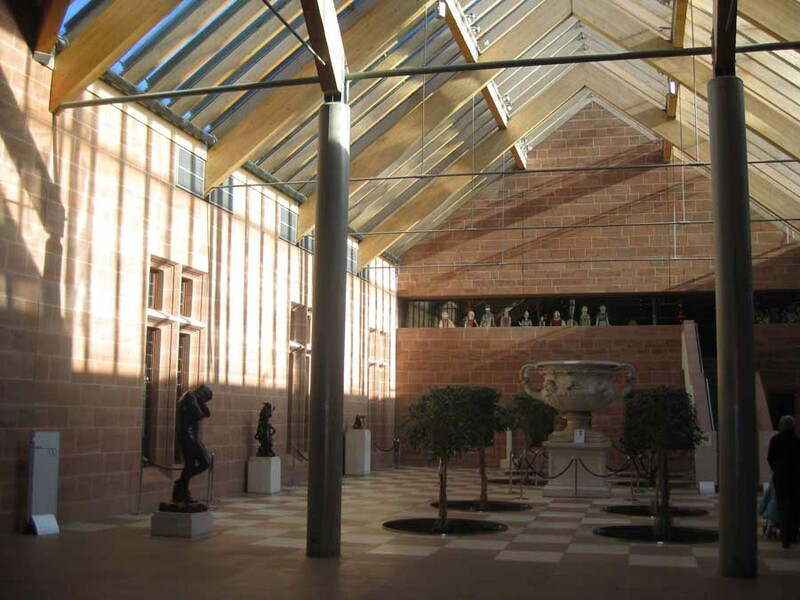 The Burrell Collection is a major cultural asset for the City of Glasgow and the nation, and is of international significance. Eastern, Egyptian, Greek and Roman antiquities. treasures by one man to one city. a large carbon footprint, into an energy efficient, modern museum. public for the first time, and a new central core greatly increasing access to the many artworks. 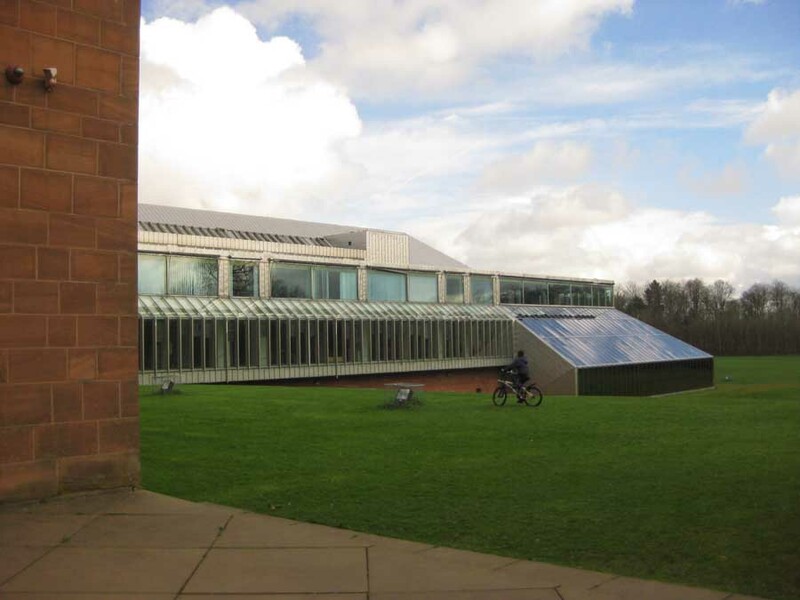 John McAslan and Partners has been recommended to progress the renewal of the Burrell Collection museum in Glasgow. Glasgow City Council’s executive committee is to meet this Thursday to consider the appointment of the practice and Gardiner & Theobald LLP as the Project Management led Architectural and Building Design Team. A design company, Event Communications, will also be recommended to be the museum’s exhibition designers. The refurbishment, estimated at £60m-£66m, will see the fabric of the building repaired and conserved, rendering the museum a benchmark for accessibility and sustainability. The plans will also allow a much greater proportion of the Collection to be displayed, with the museum’s basement stores remodeled to allow public access for the first time, with capacity for a programme of changing Collection highlights. 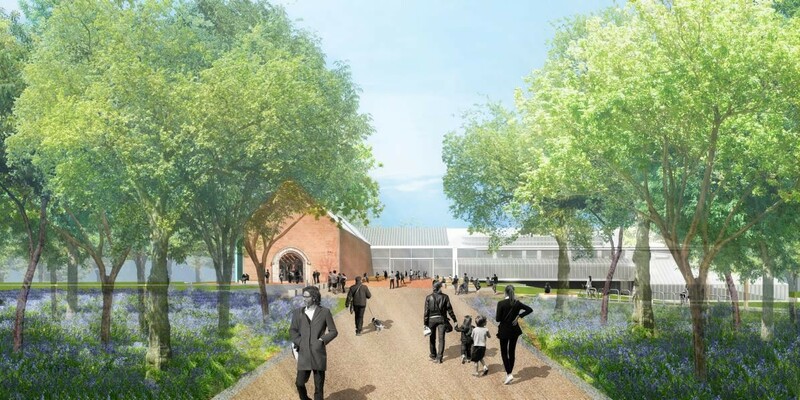 A new learning centre, improved facilities and landscaping linking the museum to its parkland setting will also deliver a new visitor experience. A total of 113 suppliers expressed an interest in the tender for the Project Management led Architectural and Building Design Team, with a further 57 suppliers expressing an interest in Exhibition Design Team Services. 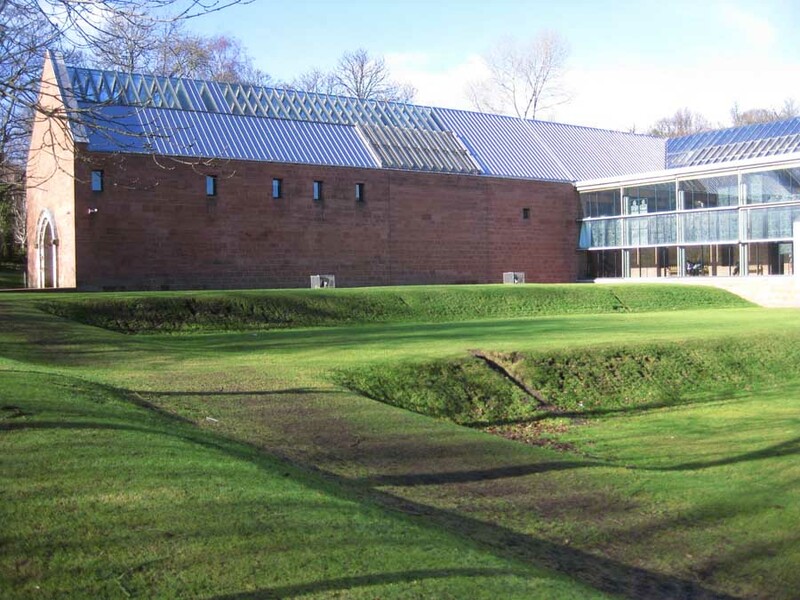 Glasgow’s Burrell Collection is currently due to close for three years as it undergoes a £66m revamp., reports the Glasgow Evening Times today. The world famous, A-listed building in the city’s south side needs a new roof, new glazing and a major internal refit. 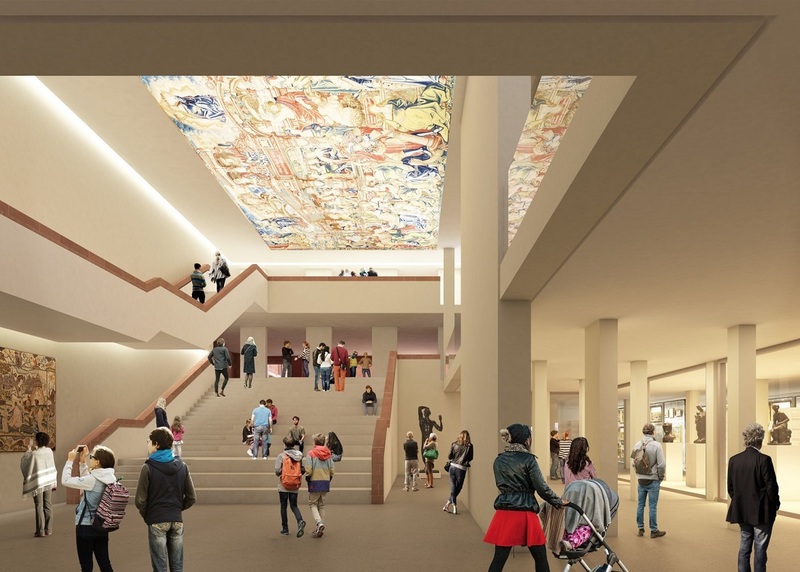 Glasgow City Council has already agreed to fund half of the cost of the building refurbishment with the Heritage Lottery Fund pledging a further £15m to the target. When it re-opens the Burrell museum will be able to display more than 90% of the 9000-strong collection collected by the shipping magnate. It is expected that the museum will close in October 2016 and open again in 2019. One of Glasgow’s best buildings of the 20th century, this project had a big influence on many architects in the eighties. Gallery, toilets and the café are wheelchair-accessible and there are disabled parking bays. Glasgow’s major attraction, the Burrell Museum, is a Collection amassed by wealthy industrialist Sir William Burrell ship owner and art collector, before it was donated to the city in 1944. 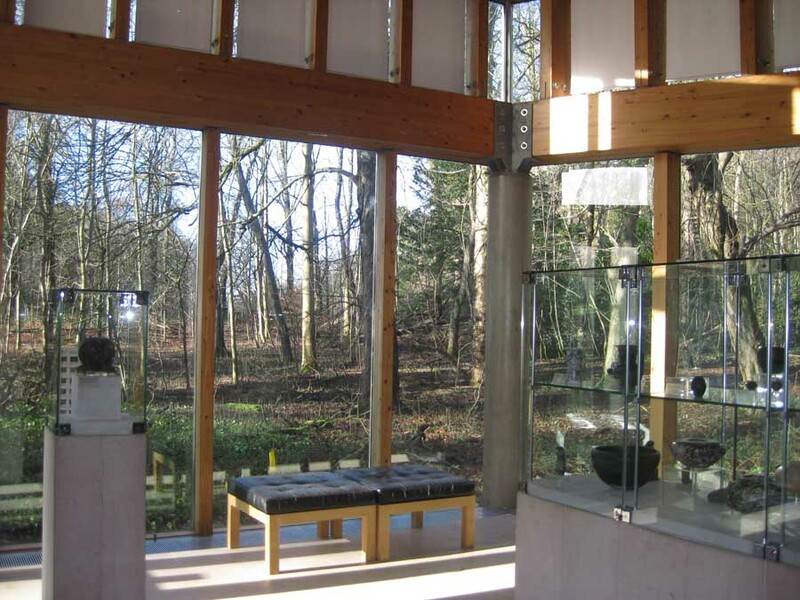 After much wrangling over where the collection should be located, it was, in 1963, finally agreed that it should be housed in a purpose-designed Museum building in Pollok Country Park, 5km south of the city centre. This idiosyncratic collection includes everything from Chinese porcelain and medieval furniture to paintings by Renoir and Cézanne. Carpeted floors maintain the silence to contemplate the beautifully displayed treasures. 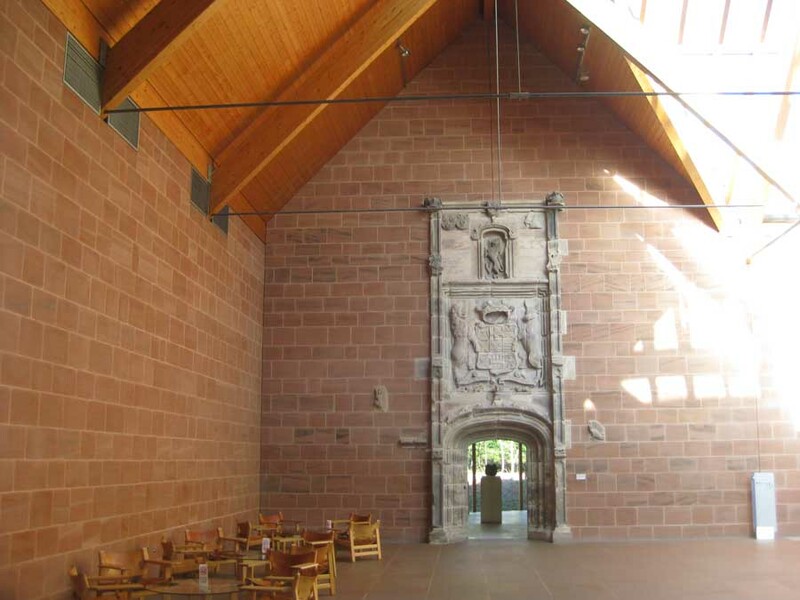 Carved-stone Romanesque doorways are incorporated into the Burrell Museum’s structure as portals; some galleries are reconstructions of rooms from Hutton Castle, the Burrell residence. 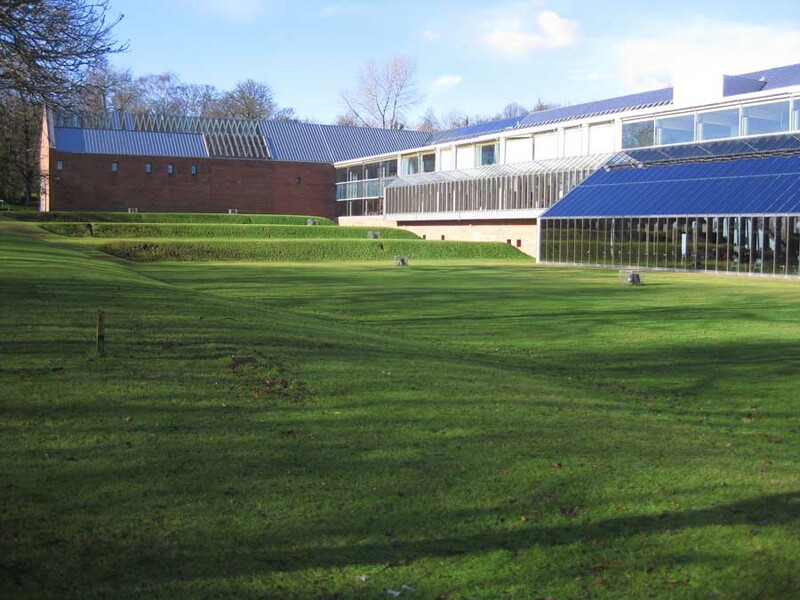 The Burrell Museum was the result of a design competition in 1971. If it had not been run during a postal strike, necessitating an extension of the closing deadline, Barry Gasson’s winning entry (out of 242 entrants, announced 1972) would not have been completed. 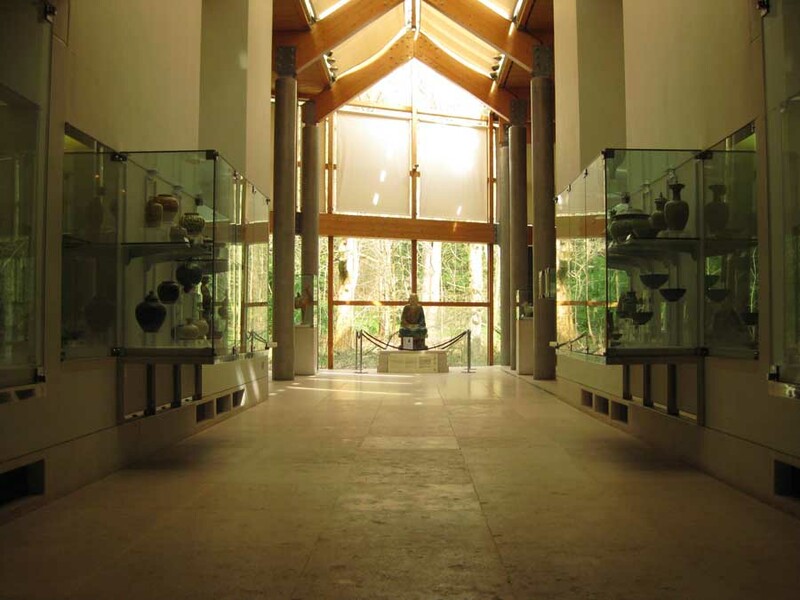 The initial design for the Burrell Museum is the result of the collaboration between Barry Gasson and Brit Andresen*. 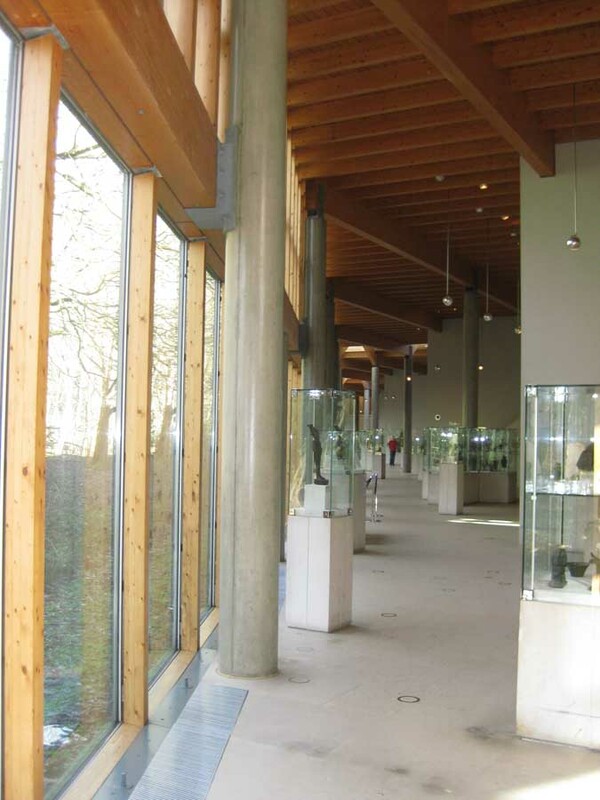 Construction of the gallery began in 1978 by Barry Gasson Architects and was completed and opened to the public in 1983. The building forms a huge L-shape, with entry from the south (into one end of the ‘L’ on axis) through a 13-foot high 16th-century archway into the glazed courtyard of the gallery. 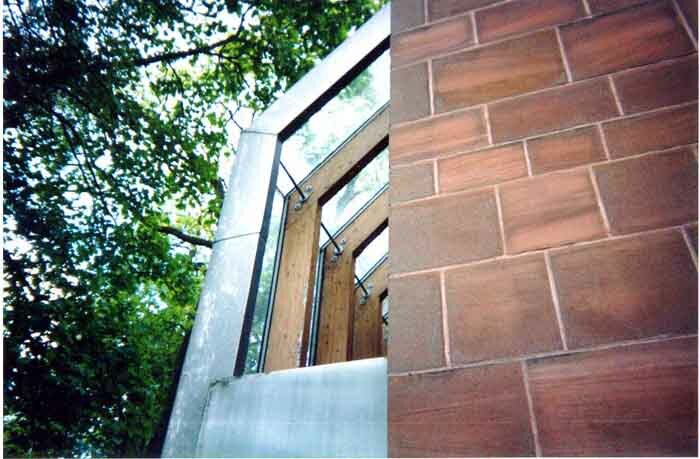 The Burrell Collection is formed of huge unadorned facades of ashlared Locharbriggs red sandstone, peeled away in zones for glazing. The windows are not expressed: instead the glass folds with the eaves and forms a smooth envelope supported on rational steel and timber portal structures at close centres – there is nothing light about this project. This makes the building seem sombre amongst the trees, and even where the lawns open out, the landscape is controlled into terraces. Thus the unarticulated building and the formal merciless grass temper the original site’s irregularities and create a powerful, rationalist whole. There is no doubting the Burrell Museum’s formal power, but the lack of interaction with nature, between inside and out, makes the Burrell a difficult building to swallow. The entrance to the collection itself is the Hornby portico, a 26-feet high English Renaissance doorway which weighs 26 tons. The Burrell Museum incorporates reproductions of three rooms from Hutton Castle, near Berwick-on-Tweed, where Sir William and Lady Burrell moved in 1927. These are the drawing room, hall, and dining room, each furnished in the original manner and with some original woodwork. The building has storage for the many items from the collection not on display, a restaurant, lecture theatre, children’s activities space, library, photographic studio, and living quarters for visiting scholars. 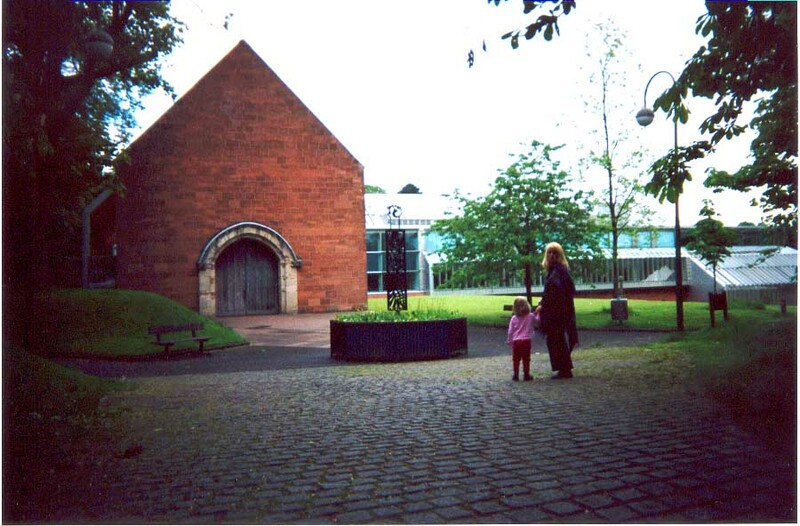 The £21m Burrell Museum and its collection of around 8,000 works of art put Glasgow on the international cultural map. 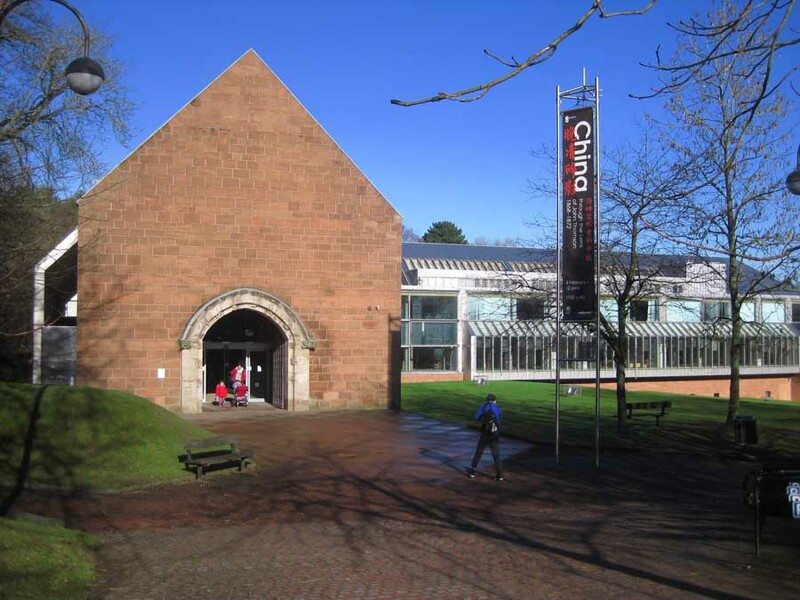 Some have claimed that the collection contributed significantly to Glasgow’s European City of Culture Award in 1990. *Gasson, Meunier and Anderson were all from Cambridge University School of Architecture. 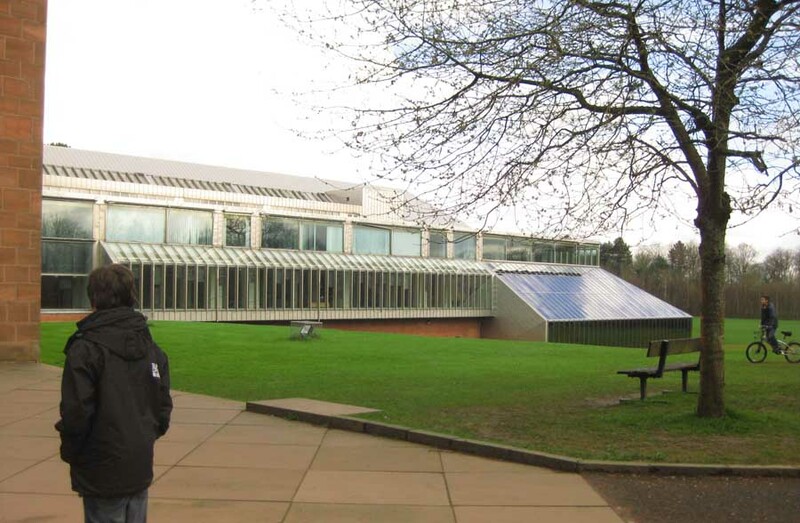 Barry Gasson and Brit Andresen were teaching architecture together at Cambridge from 1970-83, and designed Stage One of the competition for the Burrell Museum Competition. [Barry Gasson and John Meunier were in partnership at that time but John Meunier was not involved in the design]. Barry Gasson, now an OBE, was the young team leader and seems to be unlocateable overseas, notably since the problems with the roof leaking occurred. Gasson, was a graduate of Birmingham School of Architecture. After a year in private practice Barry was awarded an English Speaking Union Fellowship to Columbia University in New York for two years. This was followed by two years in the Park Avenue architectural practice of Philip Johnson where projects he worked on included a ballet theatre for the Lincoln Centre, an extension to the New York Museum of Modern Art, and laboratories for Yale University. Six months before the museum was due to open Gasson received the Royal Scottish Academy Gold Medal for Architecture for his design of the Burrell Museum. Brit Andresen is Architect and Associate Professor and Reader, Architecture Department, University of Queensland and was the RAIA (Royal Australian Institute of Architects) 2002 Gold Medal winner. John Meunier went on to the US – most recently to Arizona State University in 1987 to be Dean of the College of Architecture and Environmental Design. Previously he was Director of the School of Architecture and Interior Design at the University of Cincinnati. 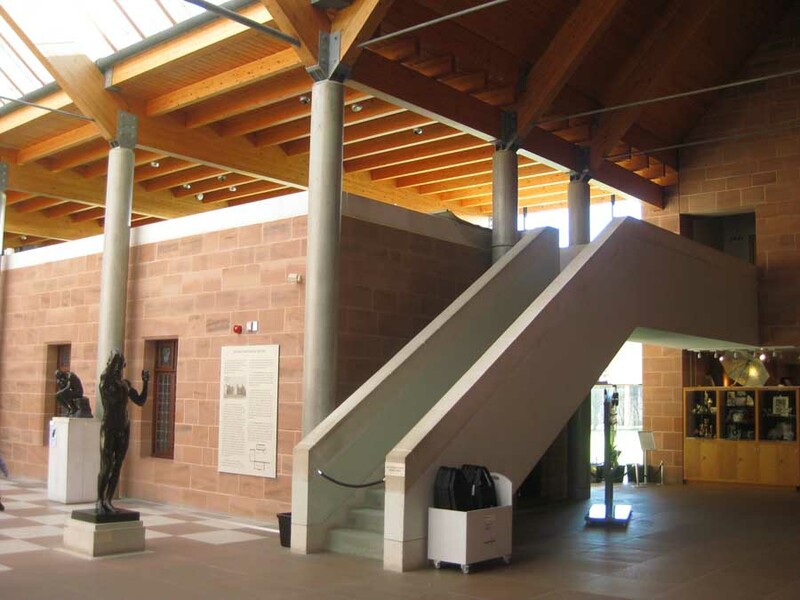 Following the selection of the design for the Burrell Collection Stage Two competition John Meunier joined the design team and assisted the development of the project. 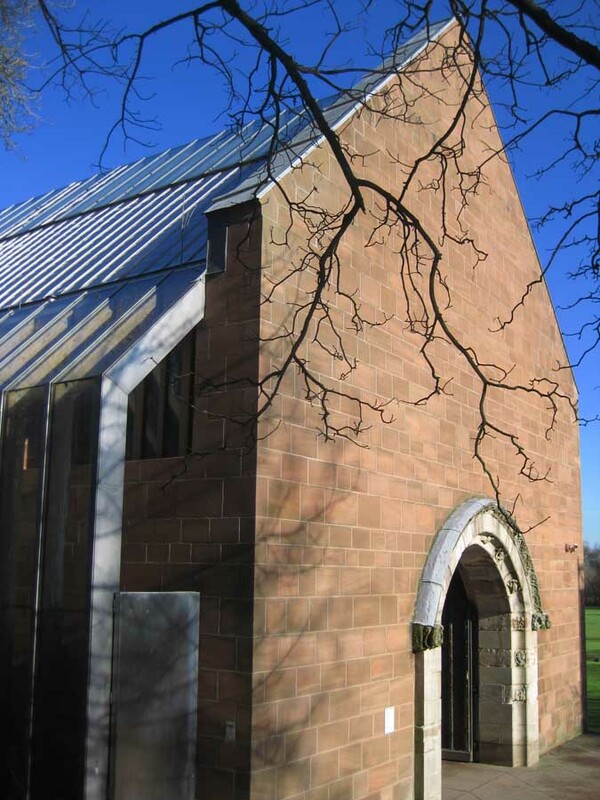 After winning the competition  Gasson and Meunier Architects in association with Brit Andresen worked on the project until the partnership between Gasson and Meunier was dissolved . John Meunier travelled to the USA. After working on the project from 1972 to 1977 the project was shelved at a time of economic down-turn and Brit Andresen travelled to Australia. 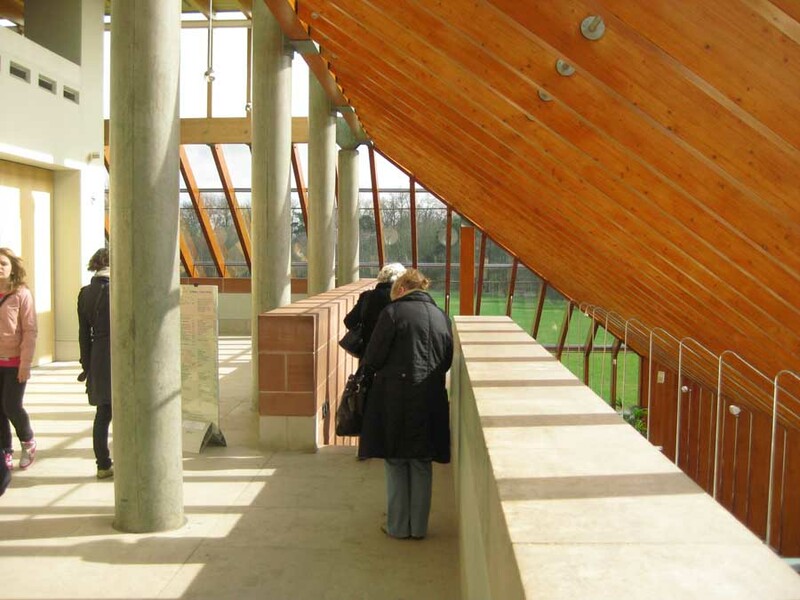 The museum project was started up again some years later and completed by Barry Gasson Architects. Barry Gasson’s whereabouts are now unknown: if he reads this maybe he will let us know.